Saké Restaurant & Bar makes its northern beaches debut on Friday, 9 November when it throws open the doors on the new rooftop of Manly Wharf and puts its signature super-fusion stamp on the seaside suburb. The sixth member of the award-winning Saké family combines a mellow beach-side vibe and premium dining experience from a sleek, 300-seat, Luchetti Krelle designed space with expansive views of Manly Cove. 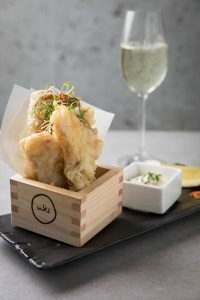 With an emphasis on casual izakaya-style food, the menu caters to all occasions, including affordable bites from the robata grill to accompany Sundowner Session drinks, pre- or post-ferry sushi bar nibbles, a long lunch, celebratory dinner, or pick-up from the pre-order counter for ferry trippers and locals. Uber Eats is on call for deliveries. An a la carte menu boasts a superb section of made-to-order nigiri, sashimi and sushi rolls. Saké classics such as hiramasa kingfish and popcorn shrimp complement dishes unique to the Manly outpost. For example, there is a play on Manly’s beach-side setting in whimsical, bite-sized sashimi and vege cones and crisp fish tempura with tartar sauce. A robust robata section showcases shiokouji lamb chops, king prawns with yuzu herb miso, and roasted chicken with hot and sour dipping sauce. Grandmaster sizzle – Saké’s take on Japan’s traditional hamburger steak served on a sizzling hotplate, kimuchi fried rice, and chunks of tempura nasu dengaku served in a hollowed tempura eggplant bowl are also dishes exclusive to Saké Manly. A bar menu of sushi, sashimi and light bites is available all day, every day. In a nod to the seaside location, sundae-style soft serve is on the dessert menu, jazzed up with Japanese ingredients and sitting alongside Saké’s famous chocolate Dragon Egg and new dishes including Coco Loco – house-made coconut ice cream with yuzu granita, caramelised popcorn and fresh berries, and chocolate tart with decadent, Asian, deep-fried milk balls. The drinks list showcases an impressive selection of Japanese spirits, whiskies and over 30 bins of sake by the glass, carafe, bottle and flight, as well as umeshu, shochu and flavoured sake. Japan also contributes over half the beers on the list. A 150-bin Australian and international wine list is accessible and affordable. Gin is a centrepiece of the drinks menu with over 30 distillations. 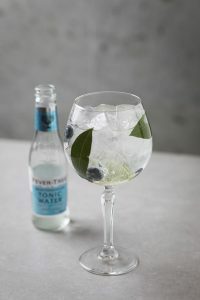 Four sensational gin bowls are a careful marriage of bespoke gin and speciality tonic, creatively presented with a collection of beautiful botanicals. One Japanese and three Australian gins, including one from Manly Spirits Co feature in these contemporary infusions. It’s also forever spritz season at Saké Manly with four seasonal and sessionable spritz showcasing sparkling sake, umeshu, yuzu and shochu. Ten signature cocktails, including a bottled cocktail created with the team from Manly Spirits Co, add a splash of fun and showcase Japanese spirits, liqueurs, ingredients and garnishes. Saké Sundowner Sessions Monday to Wednesday from 5pm to 6pm showcase special $10 spritz and gin bowls, as well as $99 bottles of Veuve Cliquot. A succession of four private dining rooms, each seating six guests, are a dramatic central feature. Each room is divided from the next by identical moongates – traditional circular openings found in Japanese architecture. Timber dowel sliding screens inspired by sushi rolling mats can be closed to section off each room, or raised to join pairs of rooms and create larger spaces. A perfectly poised, cantilevered timber table straddles all four rooms. Suspended above and throughout the restaurant are living art installations of decorative magnolia, native grasses and cotton stems by Loose Leave Design Studio. Another private dining room seats up to 18. 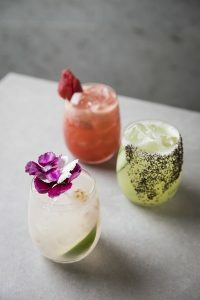 Rockpool Dining Group Chief Executive Officer Thomas Pash said northern beaches locals no longer had to travel over the Harbour Bridge to get their Saké fix and guests could enjoy Saké in a quintessential Australian setting. 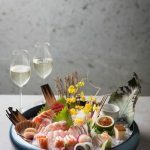 “We’ve brought locals their favourite Saké dishes to their doorstep and some exclusive dishes that Head Chef Shoji Toru and Consulting Chef Shaun Presland have collaborated on, so there is even more to explore,” he said.